And we talk about the hero of the concert went last night at a new cafe, watching our Kakostory. It would bring you much more happiness to be recreated and made from ABS. Also, her absolute slender body well-proportioned make various model poses through the nice joints. It's not included to full set. Seek your understanding in advance. but It's not as good as a regular resin in detail. * The head is big in relation to its body, so please use a doll stand for standing up. 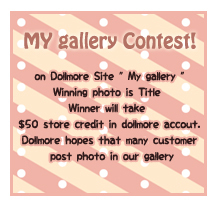 * It's manufactured by 100% Dollmore's own technology. - wig: 8-9 inches SD ~ Model doll sized wigs fit well. 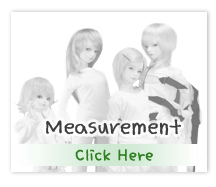 - clothes: 12 inches tall Barbie and Dollfie Plus sized clothes.